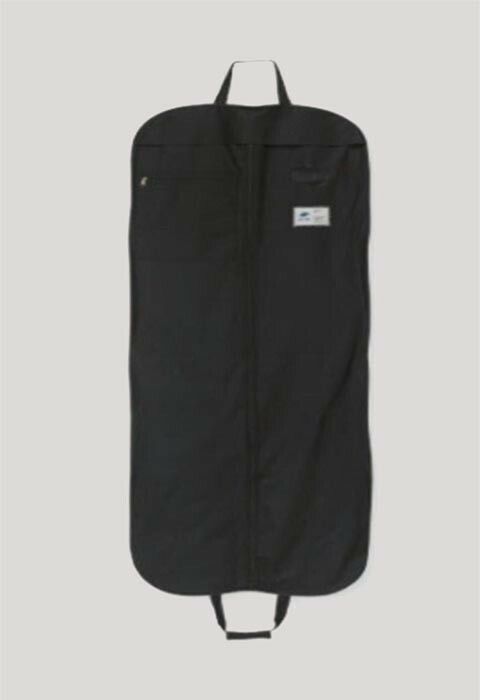 R.J. Toomey black, 65" long vestment/garment travel bag with 72" long front zipper for extra-long garments is ideal for storing or traveling with your vestments, pulpit robes, choir gowns, clergy shirts or other clerical apparel. Made from heavy cordura-like polyester fabric with three carrying handles, each with Velcro closure. Has front pocket with zipper and clear window for viewing garment inside.